There are two types of membership, Retail Membership and Associate Membership. Retail Member is a type of retail shop or store which has to sell 50% of its goods or service directly sold to consumers. A company or a store can be defined as one retail membership and store owner or an authorized person assigned by company or senior managers can participate as members in the association. 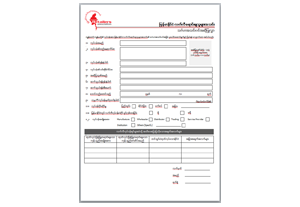 Membership forms have to be completed and attached the YCDC registration copy or Company registration or recommendation from Shopping Mall as references for application. Employees under age of 15 should not be employed in the store or company according to Labor Laws. Member form fill in and submit here. Associate Member can be any type of suppliers, distributors, wholesalers, semi-wholesalers, service providers and institutions. As long as it is somehow related with the retail industry, it is acceptable for Associate Membership of the Association.